He then looks to repeat the trick but only manages to edge the ball onto his pad and Dickwella fails to take a very tough stumping opportunity with Buttler stranded down the track. Buttler takes a step down to clobber a single to long-on and Jennings then moves into the 90s with a fortunate outside edge that runs away for three with no slip in place. A total absence of any pressure and Stokes skips down the track to cream yet another monster six straight back over the bowler's head. With their injured captain Chandimal not even able to take the field, things are starting to look incredibly bleak for the Sri Lankans. 7:45AM Another cut off the back foot gives Stokes two more past the point fielder's dive and the England all-rounder then leathers a slog sweep for a one-bounce four straight of mid-wicket. 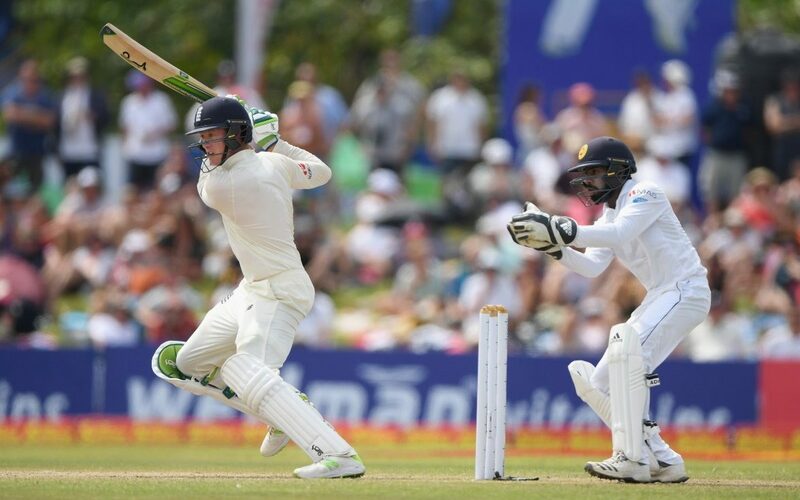 That can all change very quickly in Sri Lanka, but with a lead of 250 you suspect another 100 runs would surely seal the deal for England and they have seven wickets to get them there.